I always look forward to October. Things finally start to cool down around here, we go from 100°+ every day to ~80° by the end of October. Better still, I get away for a week or more. Hunting is really just an excuse to get out where cell phones and email don’t work. You can’t be contacted, so, the only thing to do is disconnect from the daily grind of the normal world. This year I drew a cow elk tag and again hunted the Cave Valley area. Driving up, I begin to feel a calm and quietness as Mt. Grafton comes into view. 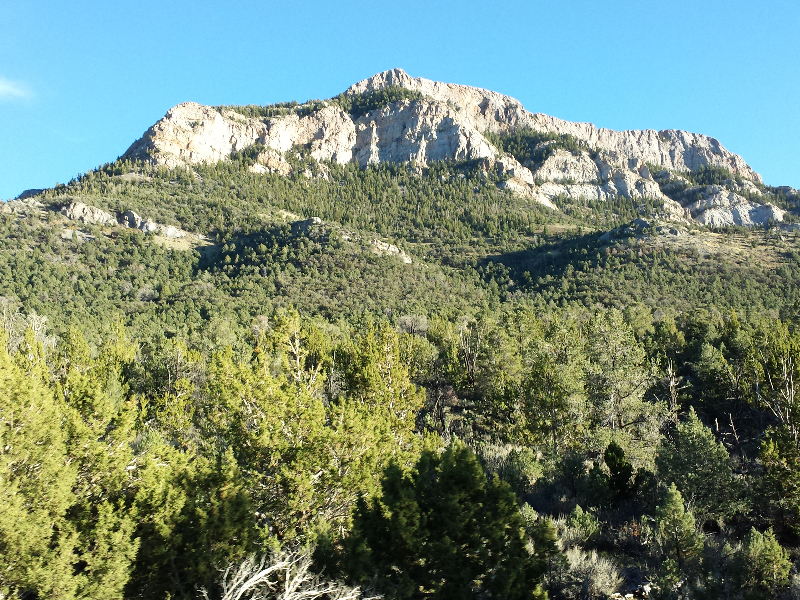 Rocky ridges surround me and the smell of sage brush permeates the air. I was fortunate to fill my tag. 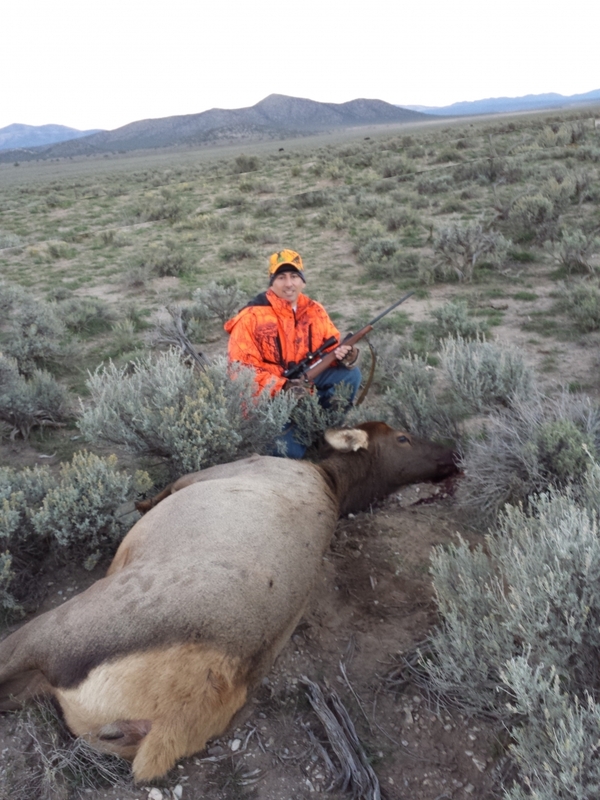 This was the first elk I have harvested and was completely amazed at the size and weight of such an animal. There is no moving one of these like you do a deer. You clean and quarter it right were it lies and pack it out. Fortunately for me, the road was very near by. I estimate I have at least 4 or 5 times the amount of meet from this animal as from previous deer. As such, I’ve reached out to family to come and stock up as well. Even with spreading the bounty around, I doubt we will have finished this off in a year and so, next year, I will probably just put in for points and not hunt… we’ll see. Like last year, we spent a lot of time just having fun….shooting our bows, plinking with our .22s, quading, fishing, and all sorts of other camping activities. Quading through the trees — heading for the peaks to hike around and scout for elk. 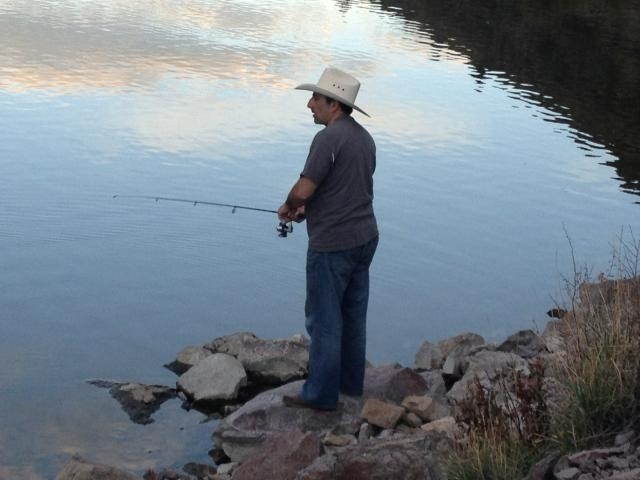 After a successful hunt, we decided to head a little south and camp in Eagle Valley and spend some time fishing. While there, I met a neighboring camper who was spending some time with his daughter, traveling from camp to camp, fishing and sort of hunting, but mostly just getting away with his daughter. 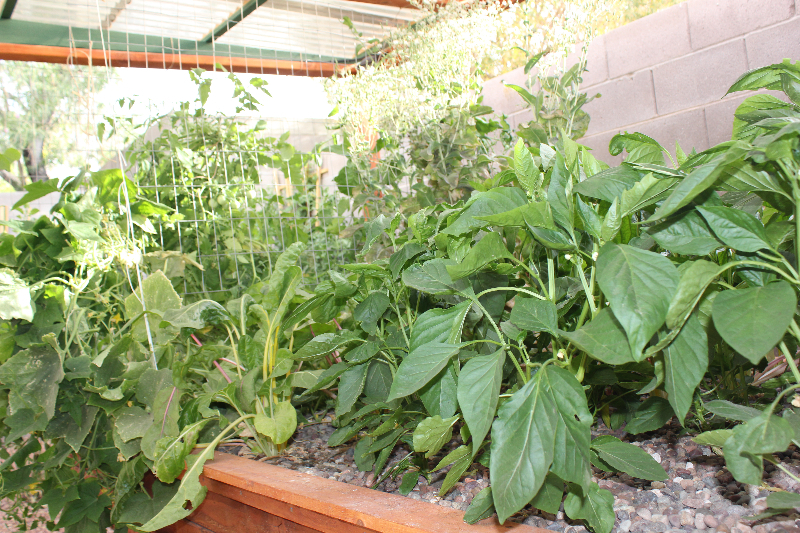 While talking with him, he mentioned he was setting up an aquaponics system. Typically, no one ever knows what that means, but out in the middle of no where, the two of us happened to meet. I told him about my system and experiences and he shared some of the things he had read and learned. I was especially excited to learn he had some thoughts on why my system would grow so well, but not produce a lot of fruit. More fish may be needed he told me, so, I will add more fish and see how it goes this season. 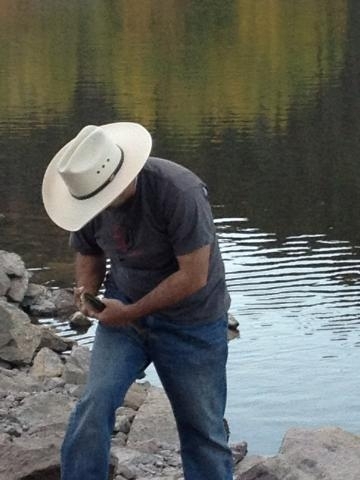 At Eagle, we would typically spend the late afternoon hours fishing. 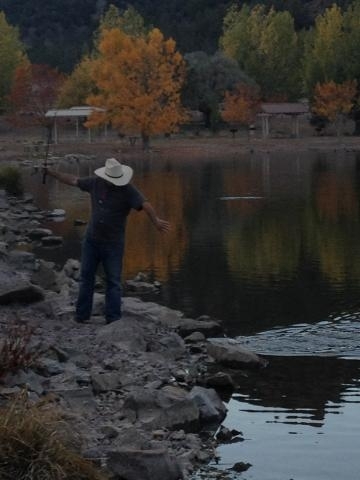 The first few days, were pasted quietly floating on the water with my fly rod. But then, after coming back from cutting firewood one day, my float tube had deflated. It had begun to come apart at the seam. As a result, I waded in for a couple of days. This wasn’t nearly as fun. Lucky for me, before my tube had a problem, I was able to get some pictures and video. The fly was able to attract a lot of rainbows, but also browns and large mouth bass. The last night, I decided to trade my fly rod for an ultra-lite spinning rod and throw some spinners from the shore. My goal was to limit and bring home fish for my girls. As the sun started to set, the fish began to surface. I couldn’t see what they were feeding on, but it was game on. Nearly every cast would get a hit and hook up. In short order I was able to bring in 4 rainbow and 1 big brown. I look forward to next year hunting or not, the get away is the real prize. See the entire gallery of pictures!